Teeth are harder than bone. However, they are also porous. Overtime stain can severely darken your teeth causing them to appear yellow and gray. Teeth bleaching (teeth whitening) is the easiest, quickest and least expensive cosmetic option to restore you to a more beautiful and youthful smile. Anything that will stain a white shirt will stain your teeth. Just think of all the food and liquids we eat that can stain. Strawberries, blueberries, tea, coffee, red wine and cokes are just a few of the more notorious staining foods. Bleaching your teeth can remove stain and bring back the whiteness of your teeth. Cosmetic Dentist Michael Nugent utilizes professional bleaching trays to give his patients dazzling white smiles. The in-office laser smiles, like ZOOM whitening, are expensive and cause patients to be very sensitive. Furthermore, the laser does absolutely nothing to help the whitening processes. Why would anyone want an expensive teeth whitening option that is painful? 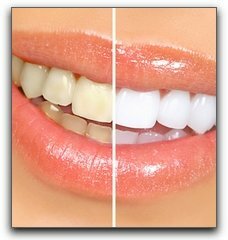 Professional bleaching trays from Dr. Nugent are easy, inexpensive and will bleach teeth to their maximum whiteness. It is never too late to brighten your smile. If your teeth are stained, call Cosmetic Dentist Michael Nugent at (713) 713-941-8261. We can restore you dark yellow and gray smile with an incredible white smile. We see Patients from Pasadena, Deer Park, La Porte, League City, Clear Lake, Friendswood and Houston Texas. Visit us at 3421 Burke Rd Ste A, Pasadena, Texas 77504.